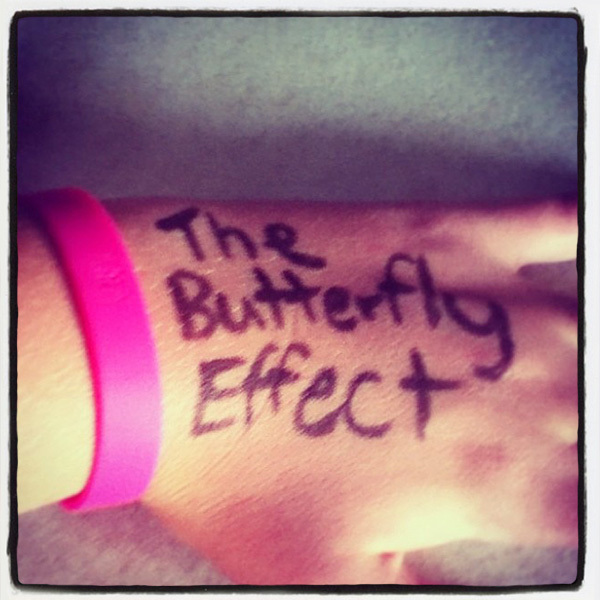 The idea of “The Butterfly Effect” comes from the science of chaos theory. It suggests that everything is connected, to the extent that the beating of a butterfly’s wings in one part of the world may ultimately contribute to a tornado happening in another part of the world. We recognise that when it comes to the impact we as individuals have on our environment, small changes can make a huge difference. Enlighten’s courses and programs for teen girls are about celebrating, challenging and changing ourselves and our world. Choose 1 core and up to 4 of our supplementary workshops, all workshops are adjusted to ensure they are age appropriate. Negative stereotyping, sexism, media images, the fixation on being thin - these are all issues today’s girls are facing. In this core workshop we encourage girls to critically evaluate the messages that bombard them every day and develop strategies that help them respond intelligently and objectively. Rediscovering the princess within: Little girls believe they can be whatever they would like to be, make friends with whoever amuses them, let people know when they are annoyed, and eat whatever tastes delicious – when did the rules change and why have we let things become so complex? This core workshop challenges girls to reconnect with their core values and beliefs and helps them remember just how truly special they are. This workshop explores the women’s movement and the history of feminism. Who have been our change makers? What does empowerment and the “sisterhood” really mean to us 21st-century girls? Girls will be introduced to a variety of fashion styles and will be encouraged to define their own style. Girls will then discover practical, fun and affordable ways to achieve their selected fashion style. Customising, bargain buying and fashion ethics are all featured in this workshop. The real focus here is on using a medium the girls are comfortable with (fashion) to instigate important conversations about the labels we place on ourselves and each other – not just literally, but figuratively. Saving money, mobile phone plans, credit cards, business plans – all savvy girls need to know how to manage their finances. This workshop teaches girls how to be cash smart and how to avoid financial pitfalls. Managing time, prioritising, organising your space and your work, problem solving, thinking creatively - these are all skills that help improve performance at school and in the workplace. This workshop focuses on developing these skills and on learning to use them to your advantage. Stop, I don’t like it. Every girl is concerned about her personal safety. Setting personal boundaries, safe partying, handling inappropriate text messages, managing conflict and using the internet safely – these skills are all vital. This workshop focuses on what’s right and what’s not right and how to tell the difference. Girls create their own journals in which they can reflect and reshape their futures. The finished journals are beautiful and powerful resources the girls will take away from the event. All materials are supplied. The workshop, which uses art as therapy, is also a time for informal conversations about topics that really matter to the girls. Relaxation, visualisation techniques, massage and more. Learning how to manage stress effectively is essential for our modern lives. Relying on crutches like the consumption of alcohol, drugs and cigarettes or other unhealthy behaviours is destructive and wasteful. In this workshop we encourage girls to seek balance in their lives and teach them some skills to achieve it. We also teach skills to help them cope with exam and assessment pressure to help enhance performance. These strategies are fun, affordable, and will fit into any girl’s hectic lifestyle. Research tells us that friends are more important to teenagers than their parents or teachers. How do we make friends? Who should we make friends with? How should friendships be maintained? How do we decide if a friendship is helping or harming us? This workshop addresses these issues and equips the girls with the necessary skills to make safe, important decisions about their friendships. It was the best thing that the school has ever done for me. I have been battling with an illness for over 3 years. I have been in and out of hospital and not at school very much. Luckily I made it to school the day Enlighten came. Danielle’s story touched me and I really felt I could understand where she came from. I have been through hell and back and been picked on, neglected and left out because of my sickness. I hate it but the day really helped me and gave me more confidence. I would just like to say thank you for everyone’s hard work and tell you how much it is appreciated. Today I ate dinner, and kept it down… Thank-you. You changed my attitude, the way I look at myself, the way I eat, the way I handle bullying and most importantly, you changed my life! Your workshop was amazing and so are you! I can’t thank you enough for coming to our school today and talking to us. The day was a million times better than I thought it would be and I enjoyed it so so much. You are both inspirational and two of the funniest people I have ever met. I love that you both care so much for us and our well being, we won’t forget it. 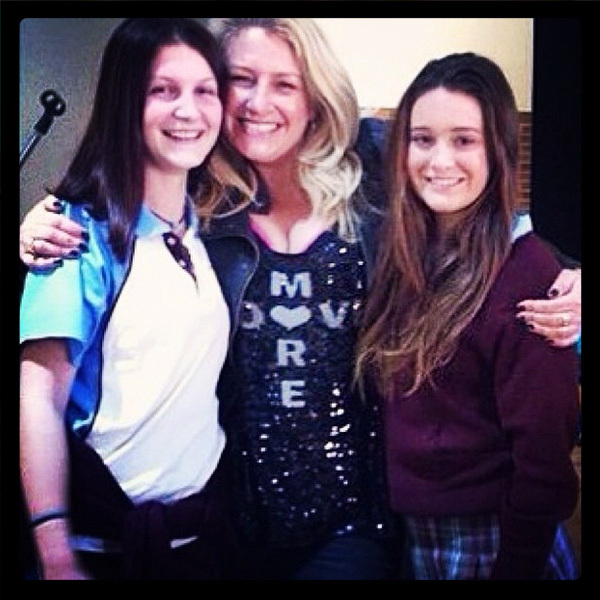 We will take your knowledge, experiences and tips with us way beyond high school and to when we are mums! You are both so gorgeous and wonderful and funny and I absolutely loved your talks, guidance and advice from today. I could tell you had put a lot of thought and effort into our day and we all really appreciated it. Words can’t describe how much fun we all had together. Thank you thank you thank you :). It was truly valuable and so great to hear. Love yourself (not a bad thing), believe you are beautiful and then you are, be organised, be aware of everything around you. I loved all of it! It inspired me in so many ways and taught me a lot be proud of who you are, don’t change your image because your friends do, be what you want to be I had fun seriously! Thank you so much for coming to our school today! Your stories were an inspiration to the whole group. Your realistic information was to the point, precise and easy to remember, humorous, too, which made it fun and will remind us what to do in a sticky situation . . . Your effort that you put into making all girls around the world feel good about themselves is astounding, you make us take a step back . . . and appreciate who we really are, and be happy for that. Thanks for teaching us, helping us, laughing with us, sharing the good times and the bad, and preparing us for the future. Your knowledge will be irreplaceable. I learnt we are all beautiful and we can’t look like models as it is not even real. We need to have our own style and love the skin we are in and smile because it is our ultimate accessory! At the end, Fran really added meaning to my day and woke me up from my superficial life. I learnt to love myself and appreciate that there are more important things to worry about. Thanks for giving me something genuine to think about and live life with. Honestly I expected it to be what I hear all the time concerning self image (it wasn’t)! I now know I’m a princess and my voice can make a difference, I really learnt about myself. 1.7 billion thankyous! My favourite part was the friends affirmation session. I don’t think we tell our friends how much they mean to us yet the value in doing this is important for all of us. I learnt we can be self-destructive and how much there is we can do to build ourselves and those around us up. The media is playing a big part in this problem . . . we are all beautiful. Continue doing what you are doing! This is a message that EVERY GIRL needs to hear! Thanks so much. After the talk, everyone was talking about how much they enjoyed the workshop and were reciting the funny yet inspiring quotes like ‘I am an Amazon’ and ‘Stop! I don’t like it!’ Before the workshop, my friends and I were groaning, not looking forward to what we thought would be another corny typical antibullying, friend-making workshop. The session defied all our expectations, and it was truly an inspirational, hilarious and extremely fun workshop. I actually thought it was going to be really pathetic and cheesy but it wasn’t at all! I loved hearing Danni’s story she is a really inspiring person, and I loved the final meditation. I learnt to love and accept myself, that breathing patterns do work to calm me down so much really! Thank you! My favourite part of today was everything. All of it really helped me and helped me understand I’m not going crazy!! Thank you! Thank you so much. You changed my life and outlook on life. I love you. I have an eating disorder and Enlighten Education made me want to do something about it. I learnt that I am precious. I LOVE Storm muchly! I thought it would be one of those cheesy “You’ve got to boost your ‘self-esteem’ programs but it wasn’t. I liked the bit where we realised how fake everything out there really is, I liked how GENUINE this was. You taught me there are many girls just like me, that there are women out here who take the time and care about us, and that all of us are special. Thank you VERY much! I loved being able to strengthen a friendship with a friend I thought I had lost. I have struggled since I was 6 with weight and body image but yesterday, I felt healed and ready to get even more healed. I haven’t eaten for a week in an attempt to be beautiful and now I know that this is not even important. You guys have helped me greatly! I thought it would be good but I didn’t know it was going to be fantastic like this. My favourite part was all of it but Chill Out was a great relaxation time for me. You have inspired me. I loved every bit of it and you are a role model to me! I am more than I think I am. I am thought of as a beautiful person by others. I am an Amazon warrior and I am perfect the way I am. I thought today would be an old granny talking about boring stuff. My favourite part was Girl World because we wrote positive things about others and it made me feel good. I learnt how to deal with fights, that it doesn’t matter how we look, don’t pretend to be someone else (who you aren’t), that it isn’t all about what other people think and to be confident about yourself. I had a great day and I will miss you. I liked everything but the best bit was the part where we had to write about someone because I really expressed my feelings. I learnt that I am special, I am a warrior, I look beautiful the way I am, to respect others and to love yourself but don’t overdo it. I loved it. I wish Enlighten came to our school every day. I thought it would be mushy and patronising. But the stories and finding our inner Amazon were great. Bring it on! It makes you feel great! This has been an amazing experience. Even if you are confident it makes your life seem that much better. I loved listening to what Sonia had to say. She was very interesting, cool and I loved what she told us. I now know I should love myself, that I have an amazing warrior woman and WHAT MAKES A WOMAN BEAUTIFUL IS THE BELIEF THAT SHE IS BEAUTIFUL. I wish I could do this more. I had a great time. Thank you! This was the bestest thing I’ve ever been to and you’re an amazing person and I love you! I loved it when you told us to love ourselves because that’s the hardest thing for a girl. I didn’t think today would be that good but I learnt heaps and I started to love it just after 5 minutes. I thought it would be all girly and stupid but it was the BEST! I learnt to be nicer to myself and others. I loved how Danni really understood what she was saying and she enjoys what she does. She believes it. All of it! I learnt to love myself, how to be positive, how to say ‘Stop’ and to not feel self-conscious. It was truly wonderful. I loved it. When I walked in I instantly thought ‘This is going to be good.’ What Danni said was so true and she really helped and made me feel great. When I walked in I knew I was in good hands. I learnt that I am strong (and I really feel it now), that I am beautiful the way I am, that I am loved and that nothing can stop me feeling great! Thanks so much! I thought it was going to be one of those boring classes where we sit and they talk about things I’m not very interested in. Danni was SO funny. It’s nice to have someone who can tell us personal experiences to make it easier for us to understand how they relate to us. My favourite part was when we had our sessions with Danni because she completely inspired me and she is a great teacher and very gorgeous. I learnt that I am pretty and to always be positive about myself. Today was the BEST excursion I’ve ever had. Luved it. I honestly didn’t have a clue what today was gonna be. It was a beautiful surprise. I learnt that I am precious and that you’re beautiful the way you are. Storm you are best!! I thought all of the activities were great! I loved them. You’re the best Storm! !I didn’t believe today would be as interesting and inspirational as it was. This was a great activity and I really enjoyed it. Every teenager would as well. I learnt that everyone is beautiful and that it’s OK to be different. We are all butterflies and it takes time to grow up, so don’t rush. I thought today would be the same old love who you are, don’t do drugs stuff that has been drummed into me my whole life but I was never really given a reason to love myself. Love the Skin You’re In made me feel so much better about myself and other people and it really taught me about how no one actually can say what beauty is because everyone’s opinion is different. I think today was the best day of school ever. I love all of the gorgeous and brilliant teachers. Thank you so much!! I loved it when we all held each other’s hands and promised that was so powerful and it felt like we were in this together. Words can’t express my gratitude. You guys are life changing. Thank you sooo much! I learnt we are all beautiful and should all be proud of ourselves. You girls were great and you taught me so much! Guess what? I love my life and everyone in it now! The best bit was everything. I realised how important my friends are and that I am as beautiful as everyone else. You guys rock! I loved the very last bit when we all held hands and the hugs. I would recommend it for sure because it was an awesome and life changing thing. I loved all of it. Thank you so much as you helped me a lot. You guys are really making a difference. You taught me to stand up for myself and that we are all beautiful and nobody’s perfect. I am rating every workshop beyond excellent! Because I loved the whole thing. It was amazing and I valued every second of it. I would definitely recommend this to every girl. You taught me to be strong, to stay positive, to be a true friend and to give myself positive talks and I loved it. Thank you so much! I thought it would be a bit pointless but it turned out that it really wasn’t. It was great! My favourite part was ‘Love the Skin You’re In’ because it showed me I don’t need to be perfect to be pretty. I can also accept my body and be happy with it. The program was great. I’ll definately tell my 11-year old best friend what we learnt. It is really useful and it shows us that everyone can be the best. My favourite part was when we put our hands up to say if we are not comfortable in our own skin and Danni got upset. It made me realise how important it is to love the skin you’re in! Love you Danni. This is an amazing program and I feel like everyone should experience it becuase it is truly life changing. Dannielle was so enthusiastic and funny and she made me feel part of something very special. She is such an awesome motivational speaker and I want her as my Aunty. Never stop doing what you do coz the world needs to hear what you’ve got to say. Thank you so much. I stress a lot and you taught me techniques to minimise my stress and to say ‘Stop, I Don’t Like It’ by trusting my inner alarm. Danni was amazing. She is an inspiration. Now that I have met her, I really look up to her. The media is fake and I am beautiful. I learnt how to deal with stress and not compare myself to the media. I will write down my POSITIVES, not negatives. I love you!! I loved all of it, particularly ‘Gorgeous’ (Dannielle) telling us that we’re beautiful because I never used to think that I was, but now I understand. I can defend myself and stay calm too! I will not get as frustrated; instead I will write my good thoughts in my diary. Gorgeous is the happiest, sweetest person I have met. I love her and want her to come every day. I hope you get to every girl in the world. You reminded me that we are all forms of perfect, everyone is beautiful on the inside, and we need to accept ourselves as we are. Hearing your stories was the best. We’ve done a fair few incursions but, honestly, this was the only one I actually enjoyed and learnt from. I loved how funny Dannielle was. There wasn’t a second that we weren’t laughing. My favourite bit was when she talked about how the media has influenced lives. I learnt about respect, loving myself and the effects of the media on young children. I also know now to be aware of creeps and to be careful about what I post online. I was inspired by your story of how you were teased just once, and how that affected your self-confidence as much as it did. It just goes to show how powerful words really are. You’ve taught me that I have to believe in myself and that, even though words can hurt, you have to decide for yourself whether or not they’re true. Amazing! What more can I say? Today I thought all we would hear is a speaker’s explanations and about their own life but I was surprisingly wrong. The day was about us. I learnt how to deal with conflict, about women’s rights, how to behave at parties. Today made me feel powerful. These workshops and the whole day was very easy to relate to. It was a great day and time well spent. Everything about today was my ‘favorite’. Thanks to you I will always embrace who I am on the inside, I will remember my friends are important to me, I will keep myself safe and I will never be afraid to be myself. Today I decided I didn’t have to be like people in the magazines because they are all airbrushed and that I just need to believe in myself and respect myself. Today makes me want to live life to the fullest and be the best I can be. 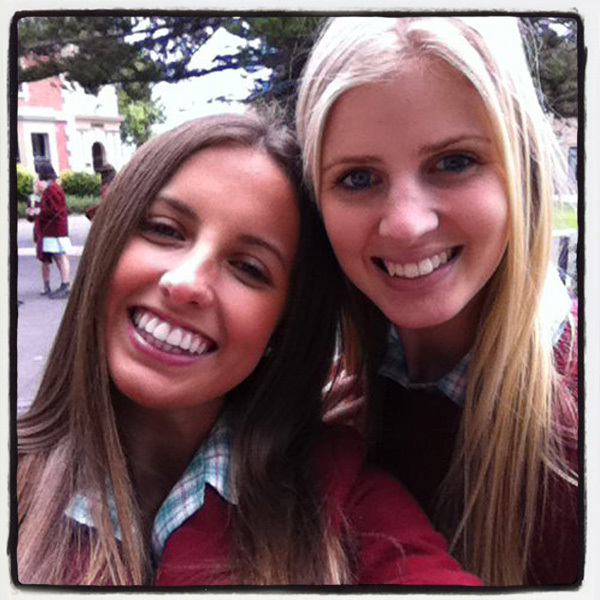 The day was heaps of fun and Fran was hilarious! Rachel showed us all how society has moulded us in to try to be “perfect” girls. I personally don’t agree with what the “perfect” girl should look like, so it’s great to have people like Rachel talking to girls like us and opening our eyes. We are amazing just the way we are! I very much enjoyed this experience. I love how this programme is happening all over NZ! It’s great for us girls to have someone to talk to us and it made me feel so much better! You made my day Rachel! Yesterday I did the butterfly effect course with you at Kambala. I just wanted to say thank you so much for one of the most uplifting days of my life. You are so kind and inspirational (and really funny). You made me feel truly special. That was the first ever incursion at school I have ever done that fulfilled its purpose. I was so sad when it was over, but I still have my diary as a memory. Keep doing enlighten education so many other girls can feel as great as I did! Today I learnt that we are more amazing than we think we are. Perfection is an expectation that shouldn’t exist our imperfections are what make us perfect. I liked how at the end we all held hands and made a pledge of good friendship to each other. It made me feel like we were all in this together. I learnt to always try, to take a few minutes to calm myself down when I am stressed, what the deal breakers in friendships are and the values people look for in friendships. IT WAS ALL GREAT! Dannielle was so inspirational and funny. There is a spark inside me because she made us feel so special. I learnt how much they photoshop in magazines, how many people don’t think they are beautiful, setting personal boundaries and promises. So Inspirational. OMG!! Today when everyone had to say something about me it made me believe how special I am. I learnt about being more alert, being myself and loving and valuing my friends. It was really good, learnt so much and had fun with it too! I thought today would be really boring, long, factual and strict…that was before I walked in! Then I thought ‘YAY!’ I loved today. I would totally recommend it to other girls. I learnt just how fake and cruel the world of advertising and media can be and to be confident to speak up. I’m going to quit thinking bad stuff about myself. Love the Skin You’re In’ was my favourite because it taught us to be comfortable with the way we are and that not everything we see is real. I learnt to stand up for myself, to be confident, to take a better approach to fixing fights, to love myself. Fran is a great leader and knows how to connect with young girls. One of the best parts of today was talking about body image and how we perceive ourselves. I learnt that body image isn’t as important as I thought initially, that sleep is necessary and my lack of it really affects me, how good it is telling my friends what I like about them, creates ”warm & fuzzy” feelings. 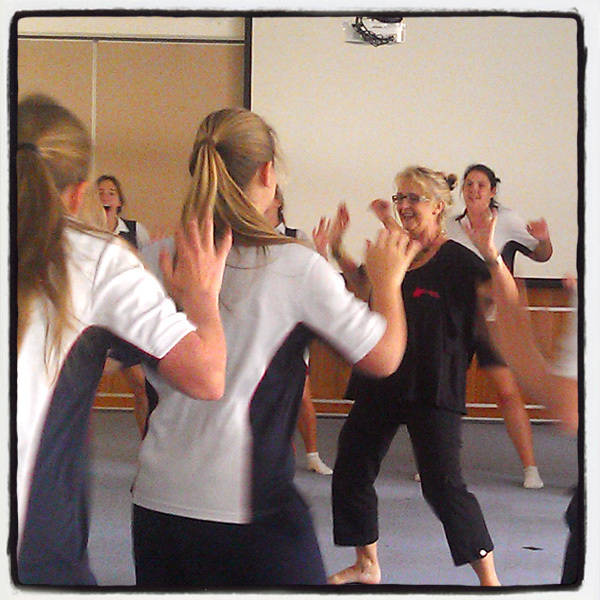 I learnt about the element of surprise – self defense and how to remove myself from difficult situations. Fran, confrontation of friends is sometimes important and you showed me how to do it effectively. Thank you for today great time in my life meeting you! To be honest, I thought today would be boring (haha….boy was I wrong!). My favourite part today was learning how to relax and refocus myself because it will be excellent in exam situations. I learnt about respecting myself for who I am, that size 0 isn’t perfect, that it is better to remove yourself from the situation and that RESPECTING YOURSELF is the key! Excellent, great job! I loved all of today but my favourite element was definitely Gorgeous. She was an amazing storyteller and person who has definitely changed my perspective. I learnt that I have power, I am beautiful the way I am, relaxation exercises make me super sleepy, that it is okay to speak out and I have more in common with the other girls that I knew. Thank you Gorgeous, I will definitely remember this day for a long time. Nikki you are the most inspiring woman I have ever met! This day was so worth it! My favourite part of our day was writing in the diaries for our friends to read after made my week those messages! You taught us that girls are strong, we are beautiful and we can trust our amazing friends. GIRL POWER! I thought this would be very enlightening but it was even more special and amazing than that! The best part was just reading the amazing, beautiful words from my peers and telling my friends how much I value them. I learnt that you are you, and you are more amazing than anything in a magazine and real girls have personality. You have made everyone happy today! I learnt so much never stop this! It will help every teenage girl. Thank you so much. This program is excellent! Before today I have been self conscious about everything about myself. I think now I can look at myself and say “I’m ok”, Thank you Nikki. Nikki you are an inspiration to the WORLD! I loved the bit where we all opened our journals after everyone wrote in them and I also loved when we closed our eyes and saw how we all doubt ourselves. I loved this Nikki you were amazing and truly inspirational I WANT YOUR JOB. I thought this would actually be really clichéd and typical but it was inspiring and I hope one day that I can help people like you do. Today I learnt that I am a good person the way I am and that I can be powerful and have the power to choose how I feel. My favourite part was reading the letters from our friends, it was so precious and definitely made me feel more than elated. I learnt magazines and ads use too much Photoshop, the things to do when you are in an uncomfortable situation and what real girl power is. Nikki you are honestly one of my role models now. You are stunning inside and out and if I had to list all the things I loved about you I would have to write a long essay. I am so thankful for this program.